09 June 2015, London: Global cosmetics retailer LUSH has agreed to help support the Maya Centre with a series of Charity Pot Parties across seven stores from on Saturday 13th June 2015. LUSH’s founders started supplying ethical products into The Body Shop back in the 1970s. LUSH itself opened its first store in 1995 in Poole, Dorset, and has since built a chain of more than 800 stores in 51 countries around the world. 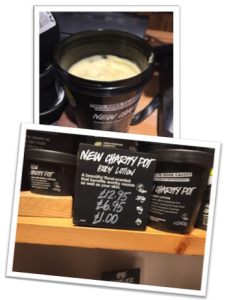 In 2007 Lush created the Charity Pot, a hand and body lotion, especially to raise money for charity and good causes. On Sat 13th June 2015 seven branches of LUSH; Brent Cross, Oxford Street, Croydon, Stratford City, Victoria Station, Waterloo Station and St Albans will donate 100% of the purchase price, (except the VAT) to the Maya Centre from each charity pot sold. The money raised will be used to continue the work with our Dahlia Project, which is a therapy group for women who have undergone Female Genital Mutilation (FGM). Donations received from Lush will help to contribute towards the cost of providing 1:1 therapy for women who need additional therapeutic intervention in their journey of recovery. “We are delighted to be teaming with Lush for our charity pot and very grateful to all the branches taking part. This will help fund our counselling work, whilst helping us to raise awareness on FGM”. Please help us to fundraise: Pop along to any participating store and purchase Maya Centre/Dahlia project Charity Pot! Remember to tell your friends, colleagues and family too.